Robert Karniol, “China Defense Industry Faces Homemade Engine Troubles,” China Post, 20 July 2011. This technical shortcoming was most recently highlighted in a report in the Russian newspaper Vedomosti stating that Beijing last month bought 123 AL-31FN turbofan engines from Russian manufacturer NPO Saturn. These cost over US$500 million. The order follows earlier tranches that since 2001 have totaled 930 engines. Just a handful of companies worldwide have truly mastered the engineering challenge of developing high-performance engines, and China’s dependence on foreign suppliers is deeply problematic for Beijing. But a new report concludes that change may be imminent. Gabe Collins and associate professor Andrew Erickson, in a comprehensive study published recently by specialist website China SignPost, focus on military jet power plants. 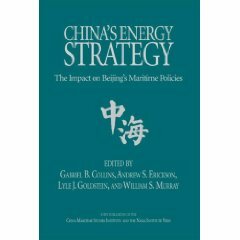 “The Chinese aerospace industry is driven by four strategic imperatives as it pursues the ability to manufacture large volumes of high-performance aircraft engines — parts dependence avoidance, Russian supply unwillingness, aircraft sales autonomy and poor Russian after-sales service,” the authors state. Progress is uneven but, the authors add, China’s dominant aerospace conglomerate — the Aviation Industry Corporation of China (AVIC), with 10 subsidiaries and 400,000 employees — has now placed a high priority on engine development and plans over the next five years to invest 10 billion yuan (US$1.5 billion) in jet engine research and development. This is particularly significant because Russia looks to be an increasingly reluctant supplier, partly because of production pressures due to heightened domestic requirements, but also because of China’s rising international sales competitiveness. Such reticence could seriously impede Beijing’s push to upgrade its air force with J-10, J-11, J-15 and J-20 fighters — the last of these a fifth-generation fighter under development, with Moscow seemingly hesitant to provide the 117S engine it needs for sufficient power. 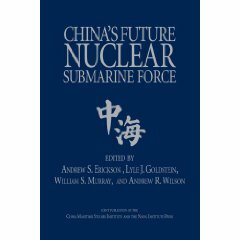 “We estimate that, based on current knowledge and assuming no major setbacks or loss of mission focus, China will need two to three years before it achieves comprehensive capabilities commensurate with the aggregate inputs in the jet engine sector and five to 10 years before it is able to consistently mass produce top-notch turbofan engines for a fifth-generation type fighter,” said the study. 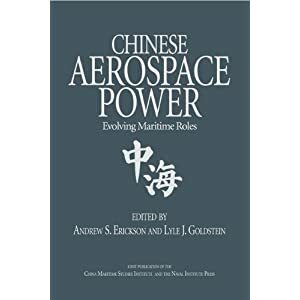 Collins and Erickson characterize China’s inability to domestically mass produce advanced jet engines of consistent quality as an enduring Achilles’ heel in its military aerospace sector. And there are important strategic and commercial implications inherent in overcoming this problem. 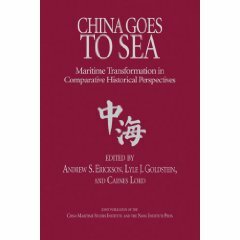 Presumably, if more priorities arise, doing so through AVIC’s new initiative may also provide lessons that could be applied to ground and naval platforms. For the original report quoted here, see Gabe Collins and Andrew Erickson, “Jet Engine Development in China: Indigenous high-performance turbofans are a final step toward fully independent fighter production,” China SignPost™ (洞察中国), No. 39 (26 June 2011).